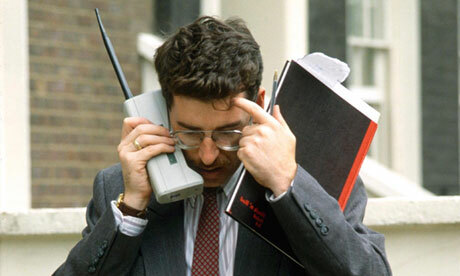 Mobile communications have come a long way since the early 1990s. And it sort of feels we are on a similar jouney - this time in relation to redefining the on-line shopping experience. Following my blog, "Shopping? It's childsplay" www.retailiation.com March 12th) and before the announcement Facebook's $2bn+ acquisition of Oculus Rift, I had the opportunity to experience the phenomenon first hand. And whilst visually impressive, it did feel a bit claustrophobic - like being trapped in a diving bell. But, it is all about direction of travel - no one carries those old brick phones any more. Which makes me wonder whether Sergey Brin hasn't trumped Mark Zuckerberg?..With the ink still drying on the Facebook / Oculus Rift deal, Luxottica (Rayban and Oakley) announced a strategic partnership with Google to commercialise smart glasses. In a world of technological convergence, on-line shopping will meld seamlessly into gaming and the battle for hegemony has begun. Like VHS vs Betamax, it's deja vu all over again. 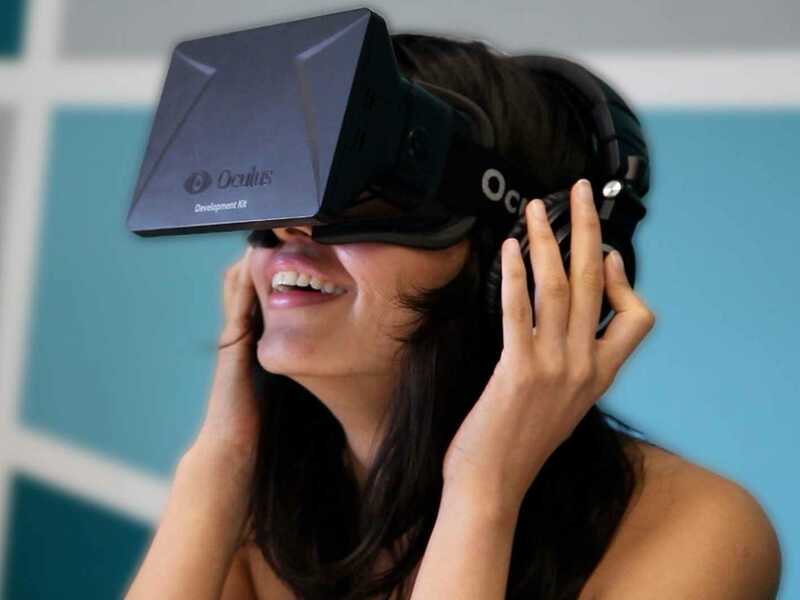 The future of online shopping took serious steps forward last week. Facebook and Google threw their hats in the ring, it just leaves Apple and Samsung to make their intentions clear and who knows what Amazon and Alibaba might do. Game on! The West in general and the UK in particular seem to believe that our Imperial pasts provide an eternal right to global leadership. Call it our collective colonialist conscience. So when Western retailers decided to retrace the journeys of our ancestors, we naturally expected them to always succeed. Perhaps. Compare Tesco's £85m Indian JV announcement with Alibaba's $200bn IPO. The numbers are incomparable. Alibaba's scale is staggering, the cash raised massive. Makes you wonder why Tesco are even bothering. Remembering the $57bn P&G paid for Gillette, expect the next deals in retail to be in the billions and that puts virtually every listed retailer (with the possible exception of Walmart) in play. 24,000 people work for Alibaba. That's more than Yahoo and Facebook have combined. Yahoo's entire market value is tied to Alibaba. Yahoo currently owns 24% of Alibaba (though it's predicted to sell back 10% of that stock when the company IPO's.) Yahoo's stake in Alibaba is worth $37 billion. Yahoo's market cap is $39.5 billion. In 2012, two of Alibaba’s websites handled $170 billion in sales. That's more than competitors eBay and Amazon.com combined. Yahoo only gets a small slice of the total sales, but even a small slice is a lot of money. In January, Yahoo reported (.PDF) that Alibaba's revenue was ~$1.8 billion for the September quarter, a 51% year-over-year increase. Net income was $792 million, up from a loss of $246 million the year before. Alibaba's sites account for over 60% of the packages delivered in China. Alibaba has millions of registers users. In 2012, Alibaba clocked in at 36.7 million registered users from more than 240 countries. It also has more than 2.8 million supplier online storefronts and more than 5,900 product categories. Alibaba's IPO could be even bigger than Facebook's. Facebook’s IPO valued the company at $104 billion, but Bloomberg says Alibaba is valued between $153 billion and $200 billion. Alibaba is on track to become the world’s first e-commerce firm to handle $1 trillion a year in transactions. Alibaba's Taobao is one of the 20 most-visited websites globally. Taobao lets users sell goods to one another (like on eBay) and it features nearly a billion products. Alibaba has a mind-bogglingly huge frontier for growth. Analysts predict that China’s e-commerce market will be bigger than the existing markets in America, Britain, Japan, Germany and France combined by 2020. By not allowing search engines to display Taobao or Tmall items in search, Alibaba makes consumers start all their searches within each virtual store. It can then rake in cash by selling search ads on Taobao and Tmall – acting more like Google in how it makes money than eBay or Amazon. The company uses a unique payments system. It has Alipay, a novel online-payments system that relies on escrow. It releases money to sellers only once their buyers are happy with the goods received. There’s a annual employee talent show, that's so big that it's held at a local stadium. Employees will rehearse for weeks, and Alibaba's office is filled with photos from past events. Alibaba has also dipped its toes in the loan business. For three years, Alibaba been making small loans (average size $8,000) to merchants using its sites. This practice has given it boatloads of data that it can use to help decide the company's business strategy. Its processed $600m in loans in 2012 and predicted that it would reach $2 billion by the end of 2013, with the non-performing-loan ratio below 2%. Jack Ma, Alibaba's founder, has a net worth of $10 billion. That makes him the eighth richest person in China. Alchemy: Magic and gold: we all love it, always have, always will. Investors are no different - in fact, they are the worst: they back their dreams with cash (often other people's). The dotcom bubble of the 1990s was fuelled by the wizardry of high tech Harry Potter's punctured only when commercial reality, dressed like the little boy in the Emperor's New Clothes shouting "you've got nothing on", burst through. Valuing a company on a forecast of a millenium of earnings seems like the hubris of the Third Reich declaring it will last a thousand years. One thing is certain: new players will arise, innovate and encroach. Just ask Nokia and Kodak. The message is simple - alchemists spin enticing visions of future riches...but at some point, reality will catch up and tomorrow's businesses become today's stalwarts and markets fall out of love. The correction in value will be devastating. We hope you enjoyed the show, magical wasn't it?